Electroplating Zinc Tin Iridite Alocrom Plating Service West Sussex, East Hampshire in Bognor Regis. Metal Plating & Finishing in West Sussex. 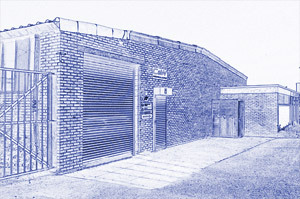 Situated in Bognor Regis C&W Finishings is a family run electroplating business, established in 2004 we currently serve the Medical, Aviation, M.O.D. & Car Industry to name a few. We were one of the first in Sussex to install the new RoHS compliant metal treatments - Iridite NCP, Zinc & Colour CR3, standard Zinc & Clear. All of our cleaning & de-greasing treatments are environmentally friendly, an important issue to us. Our pricing is competitive and we welcome enquiries from new sources, perhaps you might like a sample of your required coating, we would be happy to oblige and show the high quality of our work. We operate a collection & delivery service on a daily basis throughout West Sussex and South-East Hampshire at no extra charge and our turnaround time is normally between 1 to 3 days.